This article was published in the Focus Magazine November 2008. The text below is a copy of the article. It’s a Sunday morning.The sun is shining and we arrive in Klong Son. 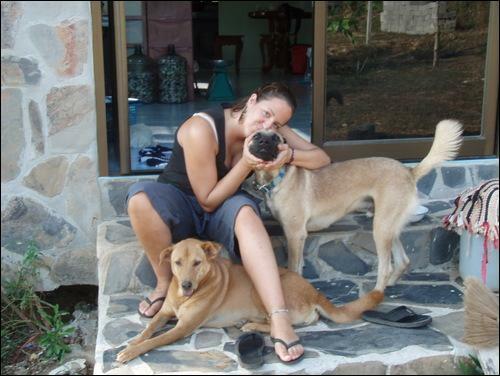 This is where Lisa lives and where she established the clinic and project named KCAP (Koh Chang Animal Project). 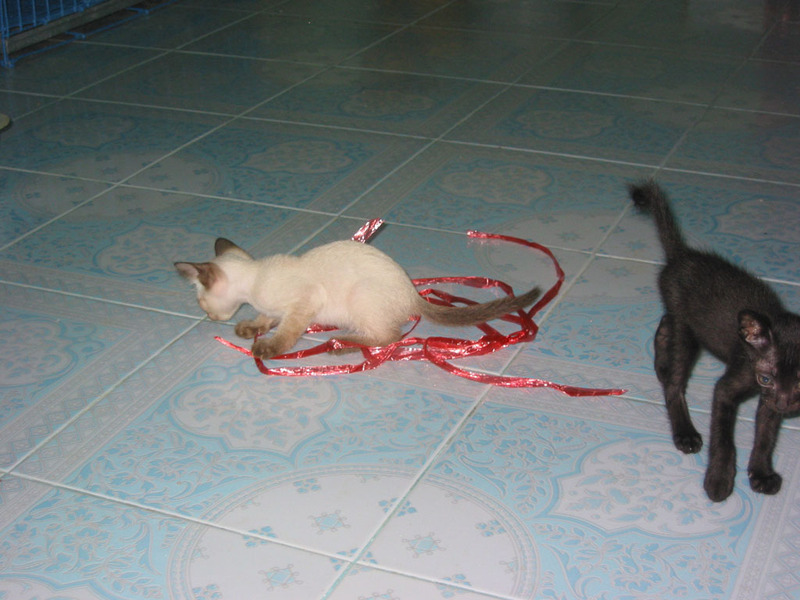 The ‘reception team’ consists of 13 cats and 2 dogs waggling their tales, all running towards us. But today is a good day and we are about to take 5 cats that have been treated and spayed back to the temple. 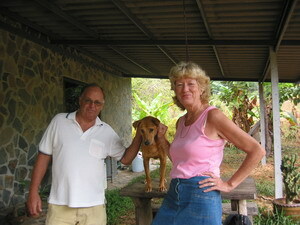 Lisa is working closely with the temple trying to keep the cats and dogs that gather there healthy. At the moment they host about 30 dogs and 25 cats. Her volunteer staff David is responsible for the Temple. “If anybody wants a cat or a dog, one can just go there and take it to give it a new home.” She explains to us. Barely out of the driveway she receives the first phone call. A Thai lady is on the phone. She is worried about her dog which seems to be sick. Lisa tries to calm her down and starts questioning the woman. “In some cases I can help on the phone. Then I do not need to pay any visit, but this is the exception. 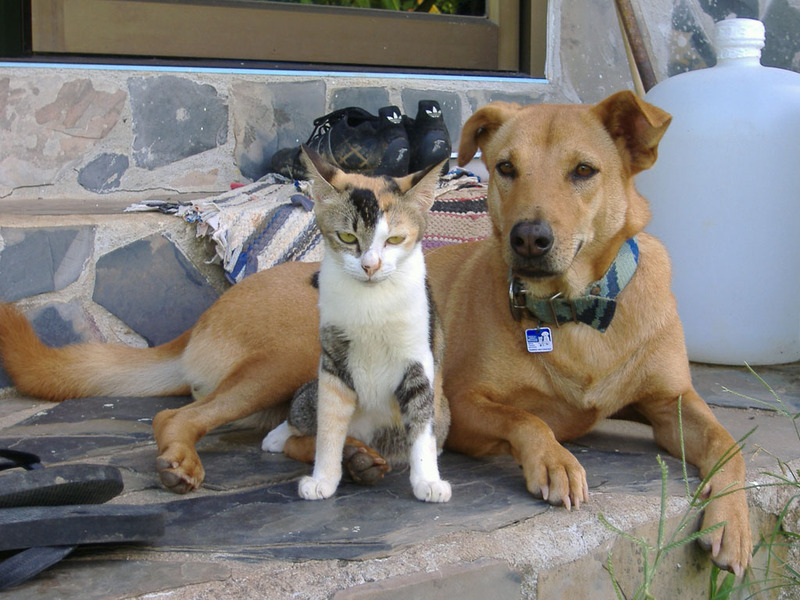 Mostly I do end up going to the animal in need or have them come to the clinic.” She tells us after. But this seems to be a more serious case. Lisa finds out that the dog has been given Paracetamol. The dog is in Kai Bae and will have to be treated today. As we are driving along White Sand Beach the phone rings again. Lisa tells us she receives about 10 to 15 calls a day from people who need help. Laughing Lisa tells us that she came to the island seven years ago with the intention of teaching people how to dive. We ask her about the project. Money that she desperately needs in order to keep the clinic going! She is telling us about the abuse on animals and the organized poisoning on dogs. Her main duty lies in spaying and vaccinating the animals. The birth control to prevent the population from growing is a major responsibility which seems to be a vicious circle at times. But the situation has become a great deal better already. Some people she tells us try to act themselves on birth control and give their pet Medroxyprogesterone. Women take this regularly every three months in order not to become pregnant. But the amount harmless to women can be lethal to the animal. 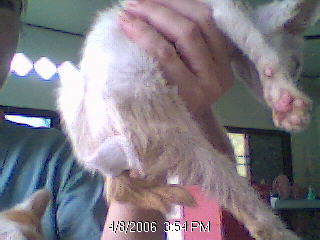 When a cat for example is given Medroxyprogesterone the uterus can get infected due to the pus flowing out. Only an operation can help the cat. 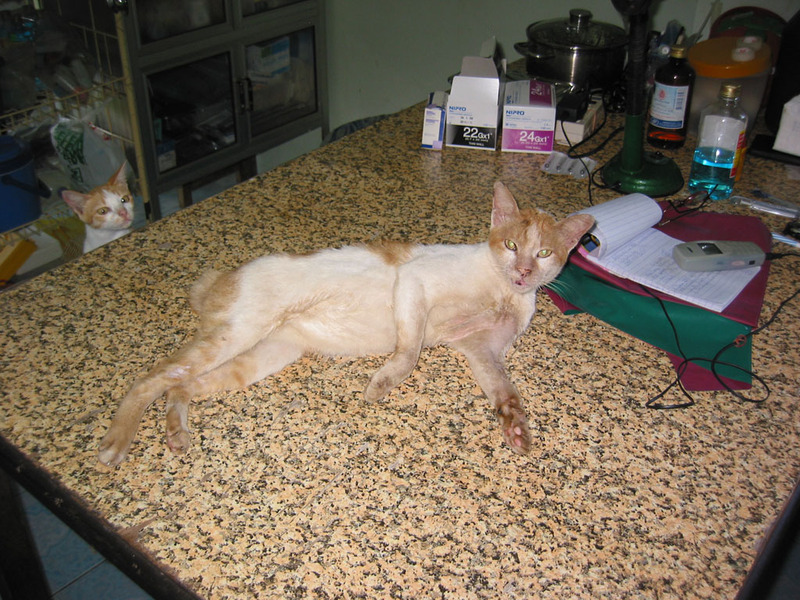 If untreated the uterus will eventually deteriorate in the body and the cat will die a slow death. Lisa does not like it when animals are taken to the human doctors. 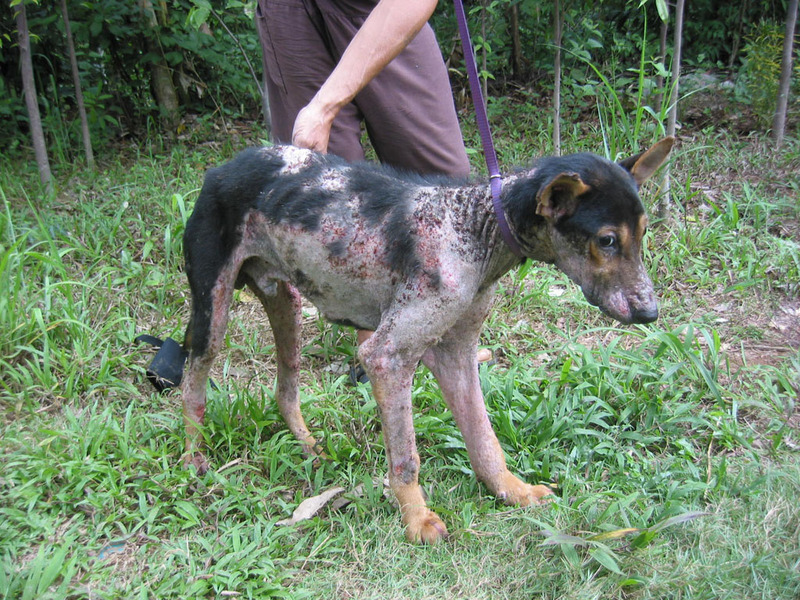 She tells us about a case in which one dog brought to her was so badly affected by mange and distemper (A terrible skin disease caused by a parasite that makes the hair fall out and leads to crusting of the skin) that she had to put it down. “Another dog was run over by a lawnmower. 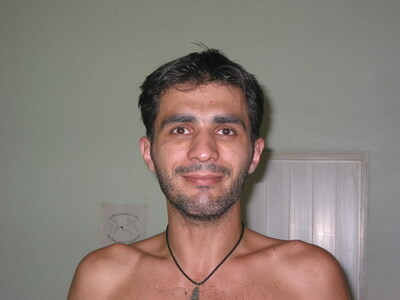 Half of his body was cut so badly, that I thought he was not going to make it. But I treated his wounds with honey. Honey has an antibiotic effect. He is still alive and healthy back with his owner.” She laughs. 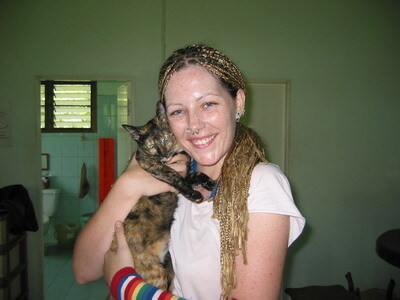 But if a spaying is done, Lisa and a Thai Vet do the operation in the clinic. Some days they do 4 to 5 spays or neuterings. Lisa hopes that the registration of the project will come through soon. “Something has got to happen soon.” She says as if talking to herself, with a serious look on her face. Then facing us again. “Otherwise I don’t know what will happen in the future!”We asked her whether she was going ‘home’ for the rainy season. We just felt so much dedication from one woman. So many lives have been saved and so much suffering has been prevented. What would the animals do without her?